If you're the kind of person who can look at something crappy and see how it could be better, then this mug is for you! The Maxine 12 oz. Fluted Ceramic Mug is yellow on the inside and blue overall on the outside, featuring an image of the crabby old lady, Maxine, as she sits down to complain. 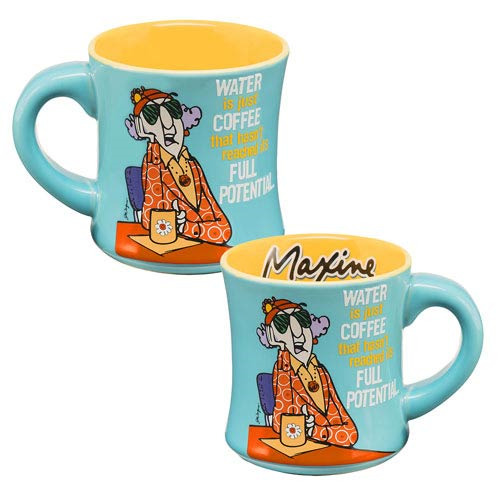 "Water is just coffee that hasn't reached its full potential," Maxine says, and she's totally right. This great mug can hold up to 12 ounces of liquid and features a cool fluted design.